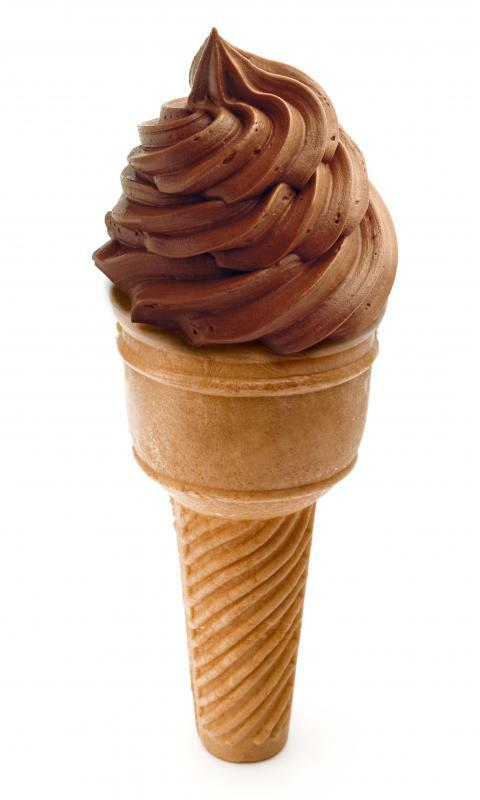 Guar gum keeps ice cream smooth by preventing ice crystals from forming. 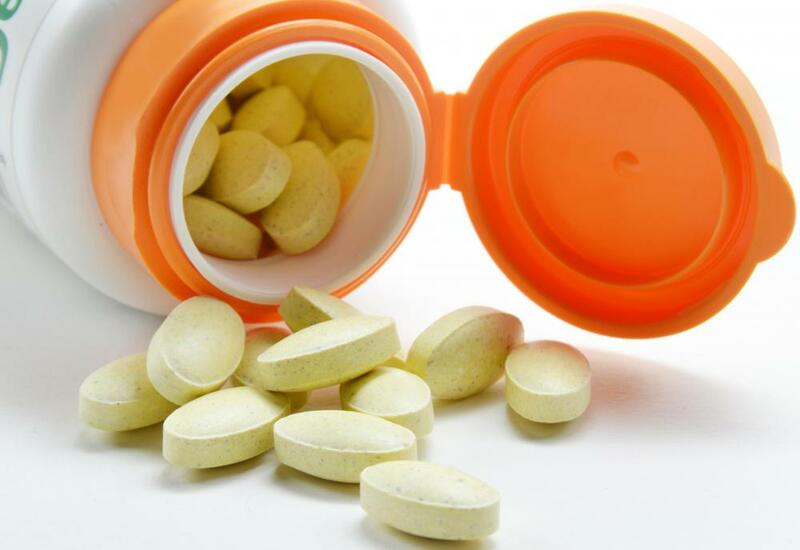 Guar gum was previously used as an ingredient in non-prescription diet pills. 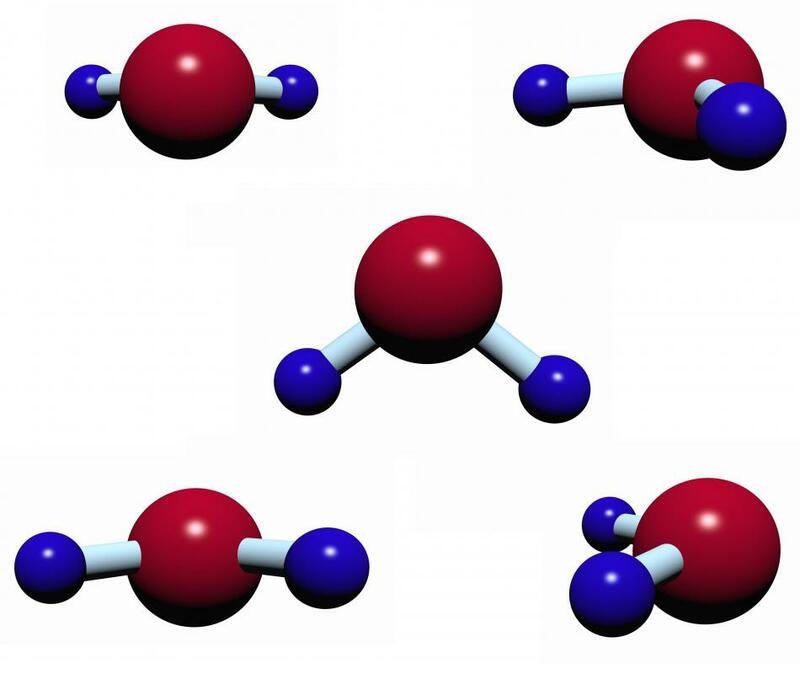 Guar gum naturally binds with water molecules. Guar gum is similar to locust bean gum, which can be found in condiments. Guar gum can best be described as a natural food thickener, similar to locust bean gum, cornstarch or tapioca flour. It is said to have significantly more thickening ability than cornstarch, at a fraction of the cost. This has made it a popular additive in products such as puddings and ice creams. Until recently, it was also an ingredient in non-prescription diet pills designed to create a sense of fullness. The guar plant, also known as a cluster plant, grows primarily in Pakistan and the northern regions of India. It thrives on the drought/monsoon cycles present in those areas. The plants are harvested after the monsoon season and the seeds are allowed to dry in the sun. The seeds are then manually or mechanically separated and processed into a flour or sold as split seeds. Guar gum is an important cash crop for the Indian and Pakistani economies. While consumers may balk at such "exotic" ingredients as locust bean gum, carageenan and guar gum, the truth is many ice creams, puddings, and canned sauces would be fairly inedible without them. Guar gum is not just a thickening agent, but a binder and plasticizer as well. When untreated ice cream melts and refreezes, grainy ice crystals often form. This substance has the natural ability to bind with water molecules, preventing them from forming the unwanted crystals. Processed foods with creamy textures are primarily held together with binders such as this. Without a binder, the individual ingredients might separate into a watery mess. The use of guar gum as an ingredient in non-prescription diet aids was officially banned in the early 1990s by the FDA. It would bind with liquids in the stomach and swell, causing a feeling of satisfying fullness. This swollen mass could also cause dangerous intestinal and duodenal blockages, however. Guar gum was declared unsafe and ineffective for use as a non-prescription diet aid, although it is still used in small amounts as a food thickener and binder. What is the Difference Between Xanthan Gum and Guar Gum? 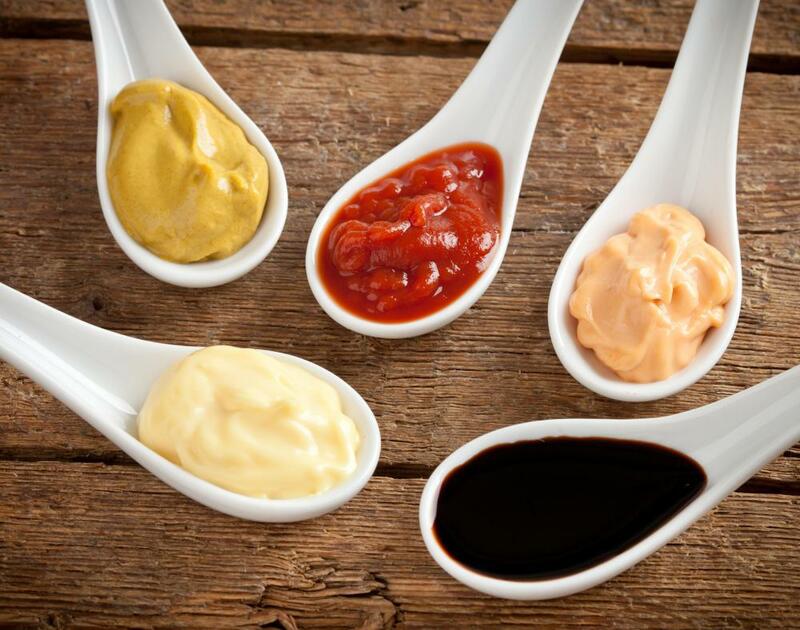 What are Some Common Food Additives? I have always used 'guargum' in replace of a dirty word. Very handy! Very useful! Oops! I forgot an important ingredient in the ice cream. You need sugar as well, and this is the stabilizer. If you want to be healthier, you can use the cane crystals or something like Stevia. Sorry. It was the xanthan gum that was related to causing "black rot" on broccoli and other veggies. The same bacteria used in the fermenting process that produces xanthan gum is the bacteria that causes the black rot on some leafy vegetables. Since both are in the Red Mill mix, I am not sure it's wise to eat it. This is in Bob's Red mill gluten free pizza crust mix. So is Xanthan gum. Neither sounds too good for me. I do get migraines, and I am searching for foods that might cause them, so should I eat this? I don't need it in ice cream! I use four ingredients: cream, milk, vanilla and a flavoring. It isn't watery and it tastes so pure and yummy! It's a little soft before you freeze it a couple hours. But, fresh is the best. It's truly the creamiest ice cream I've ever tasted. My family doesn't like store bought ice cream anymore since we learned how to make homemade. You don't need any kind of starch to thicken a sauce. I use brown rice flour or, if it's something with potatoes in it, I use Honest Earth instant potatoes (the best brand). If this causes mold on veggies, why do I want to eat it? @Post 63: When you went to use the coconut milk, I hope that you shook the can really well, because if you didn't, it would have a thick cream on top and the coconut water on the bottom and maybe that's why it messed with your cooking. It's just a suggestion. Also, it depends on what type of coconut milk you purchased. I purchase fruitroic which is made in Thailand and it's not expensive at all. I've never had a problem with it. Also when I have some left over, I put it in a glass jar and when I reuse it, I shake it so it stays together as milk and not cream. Or you could also freeze the milk as it will also stay longer. Hope this helps. @Post 17: here is your answer. Remove any shell fragments from cashews, then add cashews to a bowl and cover with water; let soak for about two or three hours. Drain cashews and rinse under water. Add cashews to a new bowl with 1/3 cup light coconut milk, 1 teaspoon yellow mustard, 1 tablespoon apple cider vinegar, salt to taste, and lemon juice. Mix together and let the flavors marry for about four to six hours. Add marinated cashews to a high-speed blender like a Vita-Mix, along with an additional 1/3 cup light coconut milk and three tablespoons apple cider vinegar, plus 1/2 cup water, 2 teaspoons xanthan or guar gum, 1/8 teaspoon mustard powder, and salt to taste. Blend on high for about two minutes or until smooth, creamy and fluffy but not too airy. Makes about 2-2.5 cups mayonnaise. Notes: There might be some dark specks of cashew in it, but don’t be alarmed by them. If mixture is too thick or too thin, add or subtract water or gums as needed. If flavor is too bland, try adjusting salt, mustard, and/or apple cider vinegar. Taste midway through blending. Hope this helps with your answer. Remember, if you find it is too much for your stomach to handle, cut down the gum to 1 instead. Enjoy. Yuck! I have found this site because I am replacing dairy in my vegetarian diet and want to continue to enjoy as many of my former food loves as possible. Vegan cheese is out, because if it isn't real, I don't want to eat it. I use almost no processed foods. However, I thought I'd try light coconut milk instead of whole to keep the fat down. When I just poured it out of the tin and into my stir fry, the texture looked all weird. I checked the tin and sure enough, it has guar gum in it, and the texture of my stir fry is totally messed up. Argh - why do they keep messing with our food? It just doesn't taste good, let alone what it does to our health. Re: post 19. Why are research pigs fed 10 percent guar gum when so much of the human population consumes guar gum already? We are not pigs. Why not do studies on human volunteers so that study conclusions apply directly to humans? Medicine based on animal research is inaccurate and, hence, quite risky. Animal testing is not done to ensure our safety, but only for compliance with the law. Test on humans! Results are more reliable, and testing on humans is much more likely to be ethical. The old argument that animal testing protects humans from harm is a myth. Each animal species, including homo sapiens, has a unique physiology. It's safer to base research on human physiology. Guar may be considered all natural, but it is not natural to many of us. All my family have a reaction to it. I have the worst. I get very painful abdominal cramps to the point of blacking out, then I get diarrhea. Somehow I do not feel this is natural! Many of the products such as ice cream got along just fine before they added guar. In fact, some of the higher end ice creams still do. Don't do guar gum. It will mess you up in more ways than one. I speak from experience. End of story. For those of you suffering from migraine headaches, guar gum could be the source so try to eliminate guar gum as much as possible and see if your migraines subside. Does guar gum contain caffeine naturally? The guar market is going crazy. We are working with a company called OnSet Worldwide who developed a replacement for guar in the food and industrial industry. It works great! Put a little effort in preparing food yourself. Eat pure. Read labels don't buy anything that the food industry altered. Let's define who the bosses are when it comes to what we eat. Our bodies are temples. Let's treat them as such. I'm diabetic and avoid as much starch and carbs as possible and use guar gum regularly for gravy and other thickening tasks. Guar gum has about eight times the thickening power of cornstarch without the starch sugars. A bottle from my local health food store will last for years since it is used so sparingly and I've never had it go bad. I just had a guar gum reaction immediately following ingesting a teaspoon of pie crust that I put together with 1/4 teaspoon of guar gum in it. The pie crust was delicious, but I immediately felt a blockage of energy, hot in my shoulder/neck/head area, like everything in my upper body was not in motion the way it should normally be, and I started to panic. I took two huge glasses of cold water and four immune capsules (by Orenda. They are great for allergy symptoms, but not intended for emergencies. I just thought of them though and tried it) and I gradually started to get normalcy back. I still feel like there is glue running through my upper body, and will continue with water to flush it out asap. Wow. it just hit me so quickly! Yikes! Guys, I don't have allergies, and have been extremely healthy all of my 58 years! Beware of this stuff. Does any one know what valgum is (it must be gum like)? I've become gluten intolerant in the last ten years. So, I've been on the search for anything to help me bake gluten free breads. I do not like to use things that are too processed. That leaves guar gum and xanthan gum out. During all this, I've been eating brown rice as a substitute with my meals. Heck. I don't even miss breads anymore. But it did take a long time. Still, when I do want to cook with some sort of thickening agent, I've used arrowroot and agar agar (seaweed). why anyone with any sense would eat soy protein and especially when they're pregnant is beyond comprehension and logic. Sad, but Archer Daniels loves to hear about using that toxic substance, for you see, they're soy producers. Please, do not, ever eat soy except in fermented form like Natto, naturally fermented organic soy sauce, miso, etc. After all, Asians eat only two tablespoons per capita, but why copy Asians? Maybe the Japanese, but why bother with soy in the first place? It's full of non-digestive elements. why is guar gum called guar gum? You said that guar gum is banned. May I use it in little concentrations or may it not be used in any concentration? What are the main differences among guar gum, xanthan gum, carrageenan, and the other gums? For example, the application? Can I them use in non food and beverages products? I belong to the arid area of Pakistan. I live in village.People of my village cultivate guar for animal food. guar is very cheap here. I came to know it is not proper use of guar. So i want to export it. i just bought this Energizing Soy Protein by Shaklee. it was recommended by a friend as she mentioned that it's good for me as i am pregnant, but when i look at its ingredients it contains guar gum. if taking a lot of guar gum in one time, can i drink a lot of water to dilute to avoid swelling, obstructing? Anyone know if guar gum and gum tragacanth would be interchangeable - specifically for use in fondant icing for cakes? Gum tragacanth is used to make icing more pliable and to then set harder. I knew it was the guar gum. I read about this a few months ago when I first saw it in the ingredients of that Purely Decadent coconut ice cream. I seemed fine when I first had it back then, and I thought, "hey, it happens to other people, but I feel fine." Right now I feel like I'm going to explode. I vow never to eat the stuff again. I'm up at 3:45 am and I can't sleep because of it. I feel like I don't ever want to eat again. It's horrible. No wonder when I ate oatmeal that has guar gum in it would make me so full and uncomfortable. My stomach would get really swollen and now I stay away from it. I just don't like the way guar gum sounds. what's the difference between guar gum and xanthan gum? are both needed for making ice cream, or will one suffice? I'm sick and tired of corporations adulterating our food supply with 'thickeners', especially when these are added to foundational products like milk/cream, bread and meat. If extenders and other crap is added to processed food, I can avoid it. But it is no longer possible to buy cream at the grocery store that hasn't been 'improved'. There are very few ice creams left either. I suspect butter also contains extenders now because it contains cream. This crap bloats me and makes me sick and drives my glucose levels crazy (I have a blood glucose meter). All so that food factories can become bigger and ship their products further. I want natural food, not a 'product'. Are there any rancidity issues with guar gum once it has been hydrated? I'm using it to thicken homemade toothpaste and am wondering if it needs refrigeration. I just made the first batch the other day and it smells a little weird but that could be the 'beaniness'? Seems like there are a lot of questions on Guar gum. Yes, it's safe for gluten free folks. You can find it in most health food stores. Use about a half to one teaspoon per cup of baking flour mix of your choice. I use it instead of xanthan gum because I am allergic to corn products as well as gluten. Xanthan gum is grown on corn sugars. Guar gum is the seed from a plant as described above. Both are good for GF baking. I found a coconut-cream based ice cream substitute called Coconut Bliss and it has guar gum listed in the ingredients. Anyway, the fiber content of 1 cup is listed at 8 grams or 36 percent of your RDA. I seemed to remember hearing about issues with guar gum in the past in regards to intestinal blockages and bumped into this site while doing some research. how many people are allergic to guar gum? I am and it is a major pain reading labels to make sure i don't eat any of it. i even have to carry an epi-pen because of the reaction i get. Xanthan gum and guar gum are often used in gluten-free recipes as binders and thickeners. If you are currently on a gluten-free diet, you should be able to tolerate any food product containing guar gum, although some people do report unpleasant gastrointestinal side effects if they consume too much of it. Diet products containing high concentrations of guar gum, however, may be risky to consume regardless of your type of diet. Because many gluten-free food products are naturally lower in carbohydrates, they should be acceptable for a high protein/low carb diet plan. It is still important to read the nutritional information on the product's label to determine if the total carbohydrate count is reasonable. Ice cream may contain guar gum, for example, but still have a substantial amount of carbohydrates because of the sweeteners. Hi, I'm on a high protein and low carb diet and was wondering whether Guar Gum was great to use or not? I'm looking for a food thickener that works in well with my diet. Also, does anyone know of any "Carb free" stir fry sauces and marinades? can we use gaur gum as gelling agent in eye? if you have a gluten free diet, can you have guar gum in anything? I once read that guar gum can help lower cholestrol. Is this true? and if so how much should one take? i am not able to eat any products using guar gum as it gives me diarrhea. Do you know how many products contain guar gum? I can only eat one commercial ice cream and soft ice cream as at McDonalds. Please, I've even found it in bagels! Give me the old cornstarch or tapioca thickeners. I am tired of reading every label at the grocery. You cannot use guar gum as sticking agent on bread, as it a stabilizer and thickening agent. i was wanting to know if i glutinous rice flour would do the same job as guar gum. Where can I buy some guar gum? I wish to use guar gum solution as a sticking agent to stick the sesame seeds over the bun surface. I tried this practice through spray system but gum solution is not passing from spray nozzle to convert into tiny droplets. Thanks & regards. --Junaid Ahmed Khan, Bakery Department, Cupola, Pakistan. my question has not been answered yet, #17, how much guar gum should be used in an 8 oz jar of oil and nut based mayonnaise? Can people who are fructose intolerant use this without any worries? How much guar gum would one use to bind an 8 oz jar of oil and nut based mayonnaise? Guar gum is used as a clumping agent in cat litter... see Feline Pine Flakes... yum! I am on a gluten free diet. Is "guar gum" OK? I was just diagnosed as allergic to soybeans, peas, and peanuts (all legumes), and during my research online (at about.com, to be precise) it says to avoid guar gum... is it because its in the same family? Yes--guar gum is used to make the Foods By George English Muffins that I absolutely LOVE. They are gluten-free. For those who want to cook gluten-free, I suggest trying ground chia seeds (has properties a bit like flax seeds, but better, in my opinion) or arrowroot powder. These will give consistence and btw chia is ultra-nutritious and isn't processed at all! I'm counting calories and want to lower the calories in pudding by using Guar Gum. I made a batch using 1 teaspoon guar gum to 2.5 cups milk. The pudding tasted great but was gluey and wouldn't set. Any suggestions or recipes for it? Do I need to mix it with corn starch? Emulsifiers like guar gum have made possible the shipment and storage of commercial ice cream. The term "creaminess" has nothing to do with cream but rather is a marketing term to convince consumers that we want the consistency of this product which is most efficiently mass-produced for shipment. The delectable icy crunch of hand-cranked and some commercially produced ice creams could be more desirable if economics warranted their marketing as such. "Creaminess" is a by-product of manufacturing a stable shippable product. Most consumers want it because marketing has done its job well. I'm allergic to xanthan gum. I suspect because of its relation to mold. Is guar gum a reasonable substitute in gluten-free baking? I'm sold on gum guar for making ice creams and thickening Indian chai (like Starbucks uses it to thicken their frappuccinos), but do you have a rule of thumb for how much to use? I've discovered that a very little goes a long long way. Guar Gum contains some protein residue (4 to 6 %), is there any method available to eliminate all residue? Is Guar Gum used as a substitute for Gluten in bread products for people who are Coeliac and require gluten free food? "The dietary supplement Benefiber is almost 100 percent guar gum." is no longer true. Benefiber recently changed it formula to "wheat dextrin".